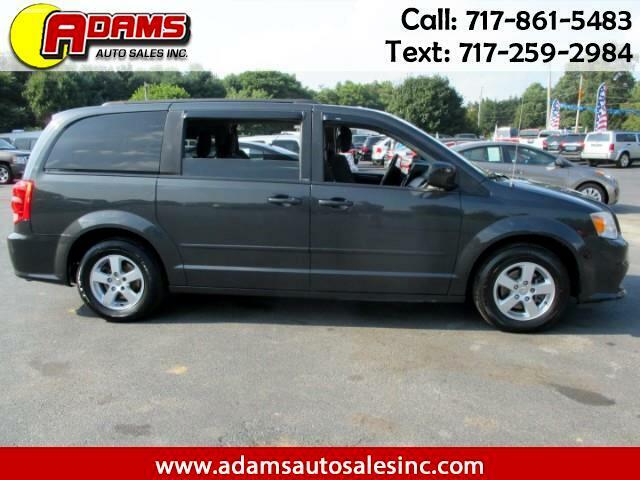 Used 2011 Dodge Grand Caravan Mainstreet for Sale in Lebanon PA 17046 Adams Auto Sales Inc.
***MAINSTREET EDITION*** This 2011 Dodge Grand Caravan Mainstreet Edition minivan is ready to hit the road with you and your family. It is equipped with a V6 3.6 liter engine and an automatic transmission. Lots of options. It has Rear air conditioning, privacy glass and power seat. It also has Stow-N-Go storage and alloy wheels. Only 103,675 original miles. The beautiful charcoal exterior and black interior are in excellent condition. Well maintained both inside and out. Inspection and emissions are good thru August of 2019. Free Carfax report is available. Priced to sell quickly at $8,950.-!! !